Wildlife ACT is proud to have initiated 5 project sites on various wildlife reserves across Zululand, South Africa. The Zululand ecosystem is among the most diverse and productive wild lands on the planet, yet amid its gallery of wildlife, conservation efforts face tremendous challenges, and we need your help. Zululand makes a dramatic backdrop to our initiatives, as it is a place of majestic beauty with cultures as diverse as its landscapes. Zululand is a rare place with age-old cultures and traditions, yet it is the birthplace of wildlife conservation in Africa, where the rhino was saved from certain extinction 60 years ago. 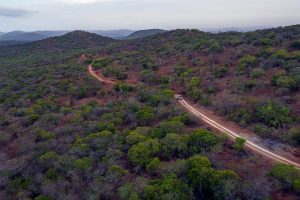 This project spans across multiple game reserves in Zululand. These areas in the eastern parts of South Africa are lush, green and teaming with wildlife. Its a favourable habitat for many types of wildlife species and is where we focus on their protection and conservation. 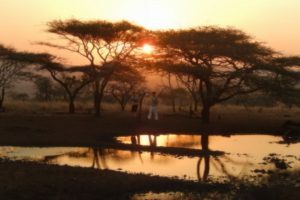 Zululand is considered by many as the heartbeat of Africa and the birthplace of conservation in Africa. The African bush is such a dynamic and ever-changing environment in which to work and our movements and activities are entirely regulated by the animals that we monitor. You’ll get up early in the morning and bundle onto the back of our open 4×4 vehicles and head out on a monitoring session along with your wildlife monitor and the other wildlife conservation volunteers (max 5). Once you’ve located the animal you will map the sighting using a handheld GPS device and update identity kits if necessary. You’ll also need to document behavioural notes used in our research. The species we monitor include critically endangered species such as the African Wild Dog (Painted Dog), Cheetah, Black Rhino and Vulture. 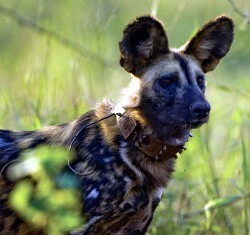 We also do incidental monitoring of focal species such as Elephant, White Rhino, Hyena and Leopard. We’re usually back by late morning when there will be time to relax, read, write in your journal, have a nap or watch the abundant bird and animal life which occurs around the camp. We head out again in the late afternoon and we’re normally back in camp shortly after sunset to start preparing supper. Most meals are enjoyed sitting around the campfire, listening to the sounds of the bush and discussing the day’s activities. After a long day, we’re usually in bed early, excited for the day ahead! At least once a week we have a day set aside to input the information we’ve gathered into the computer and make an analysis of the data. Wildlife ACT’s conservation volunteers prepare their own meals, and are responsible for general cleaning and maintenance in the camp. Depending on how long you join the team for and the time of year, you may also be part of darting or trapping and radio collaring of various animal species, the relocation and re-introduction of game, identity tagging of animals, setting and checking of camera traps, game counts, bird ringing and alien plant control. (Please note that these activities occur strictly when the need arises and cannot be guaranteed). We have a saying here: ‘This is Zululand, Not Disneyland’. It’s not always easy and there are many challenges along the way, including long hours and tough work, but it’s one of the most rewarding and enriching experiences you’ll ever have. Due to the nature of our work, we often have to track one animal for an entire day, covering large distances without success – but it’s important that we do it. This is not a safari operation and we don’t want to romanticize the work we do. Our projects enable you to experience what life is like as a real conservationist or wildlife researcher – it’s not always fun or easy. This is real Africa and you’ll contribute to conservation as a real natural resource conservation volunteer. With regards to downtime and leisure activities while you are with us, the nature of the work being done means that the animals need to be located every single day. The wildlife monitor will therefore continue working continuously seven days a week, but volunteers may take the occasional Sunday for an admin day or rest day at the camp. Depending on the daily tasks and activities, volunteers normally have some downtime between morning and afternoon monitoring sessions. 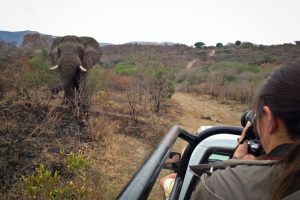 In terms of a potential excursion, you can discuss this with your wildlife monitor as there is an opportunity to visit the coast while you are in Zululand. Please understand that this is naturally dependent on what is happening in terms of monitoring work at that time and where you are placed. 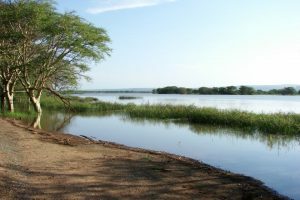 Zululand has much to offer in terms of leisure activities. Please note that should you want to explore the area, you will have to discuss with your wildlife monitor and it will be at your own risk. St Lucia and Sodwana Bay are nearby popular coastal tourist destinations with plenty to do and see, including whale watching, turtle tours, boat rides, snorkeling, scuba diving, etc. Africa has over 400 known endangered animal species. Tracking and monitoring of endangered species is a critical step in the conservation of these animals. Many game reserves do not have the capacity to run effective wildlife monitoring programmes. 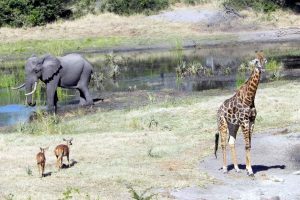 Wildlife ACT provides free tracking and monitoring services to game reserves in Zululand, South Africa, both by initiating, implementing and managing monitoring projects on reserves that don’t have monitoring programmes in place; or by taking over existing monitoring projects on reserves that can no longer fund or manage them. This requires our wildlife monitors and conservation volunteers to go out into the reserve every day and find these animals using either VHF tracking equipment or conventional spoor tracking techniques. We also develop photo and illustrated identikits of all the species we help monitor. Our projects have all been approved and contracted directly by the Management Authority of each reserve and national park, to perform critical and essential conservation work for those reserves.